At the moment we are deep in the Nairobi Headquarters section of the project; we have almost another month here yet. Our work is an eclectic mix of different aspects of different projects, from having sessions with different people and having the chance to seek out particular activities that we want to work on. 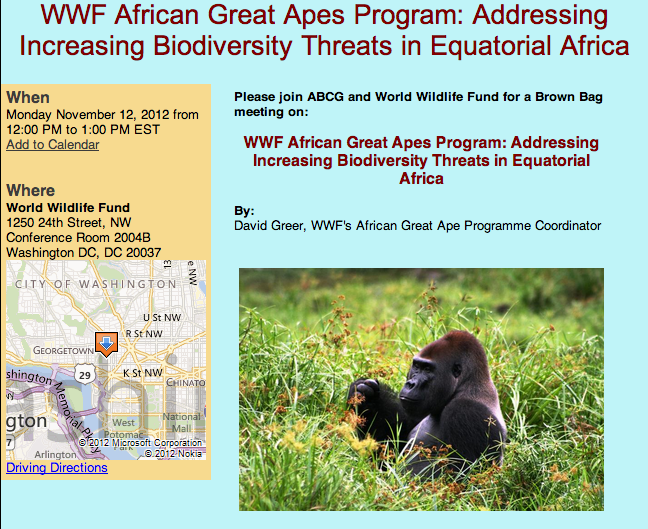 Yesterday, I had the pleasure of attending the African Biodiversity Collaborative Group (ABCG) brown bag meeting on the World Wildlife Fund’s (WWF’s) African Great Apes Program—you can see that we love acronyms in conservation—on AWF’s behalf. Fifteen years ago, ranger-based monitoring (or RBM for short) was initiated as a tool in the conservation of mountain gorillas. 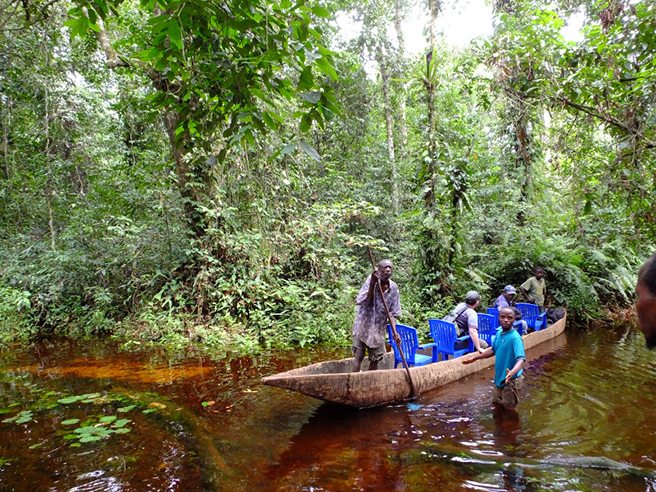 Whether patrolling the park for law enforcement or tracking mountain gorillas for health assessments or to facilitate visits by tourists or researchers, data is being collected and recorded on data sheets. Every day. That's over 5,000 days of valuable data collected. Augustin Kanyunyi Basabose, one of Africa's leading experts on Great Apes, is now the Interim Director of the International Gorilla Conservation Programme (IGCP) - a coalition of the African Wildlife Foundation, Fauna & Flora International, and the World Wide Fund for Nature.